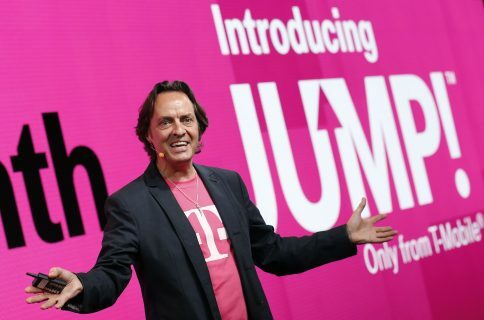 Over the past 9 months or so, T-Mobile has been calling itself the “Uncarrier.” It’s a marketing strategy, for sure, buts it’s certainly been living up to the moniker by dropping contracts, offering free international data, and waving early termination fees for new customers. 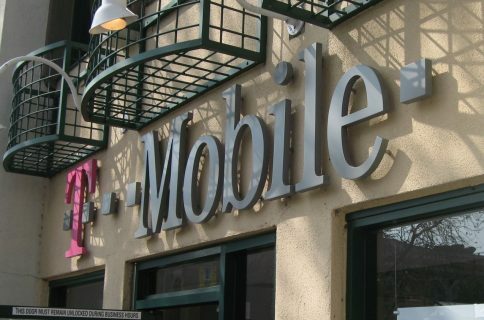 “We’ve already transformed how Americans use and pay for phones, tablets and wireless service; why stop there?” said John Legere, president and chief executive officer of T-Mobile. “Millions of Americans pay outrageous fees to check cashers, payday lenders and other predatory businesses – just for the right to use their own money. Mobile Money shifts the balance of power for T-Mobile customers and keeps more money in their pockets. The company says that ATM, overdraft and monthly maintenance fees hit record highs last year, so it built Mobile Money to counter the trend. 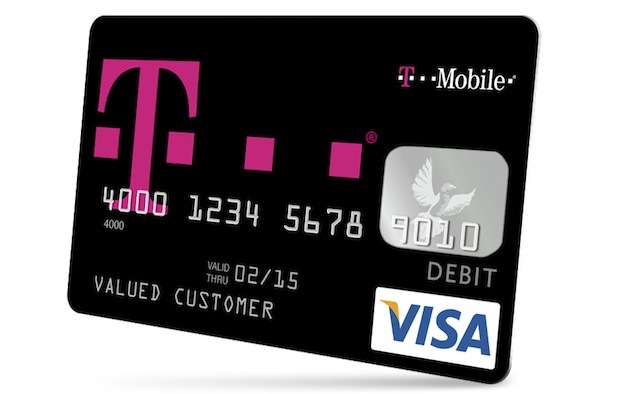 It’s essentially a re-loadable T-Mobile Visa Prepaid card that offers reduced fee or $0 services like depositing checks and ATM withdraws. With Mobile Money, registered T-Mobile wireless customers pay $0 for things they do every day. No charge for activation, monthly maintenance, in-network ATM withdrawals, or for replacing lost or stolen cards. No minimum balances required. No more worrying about overdraft fees. And no unnecessary trips to the bank or a check casher. But Mobile Money isn’t completely unconventional. It still lets customers do most everything they can with traditional checking accounts including direct-depositing paychecks, making retail purchases, and paying bills. You can even deposit checks using your smartphone’s camera. 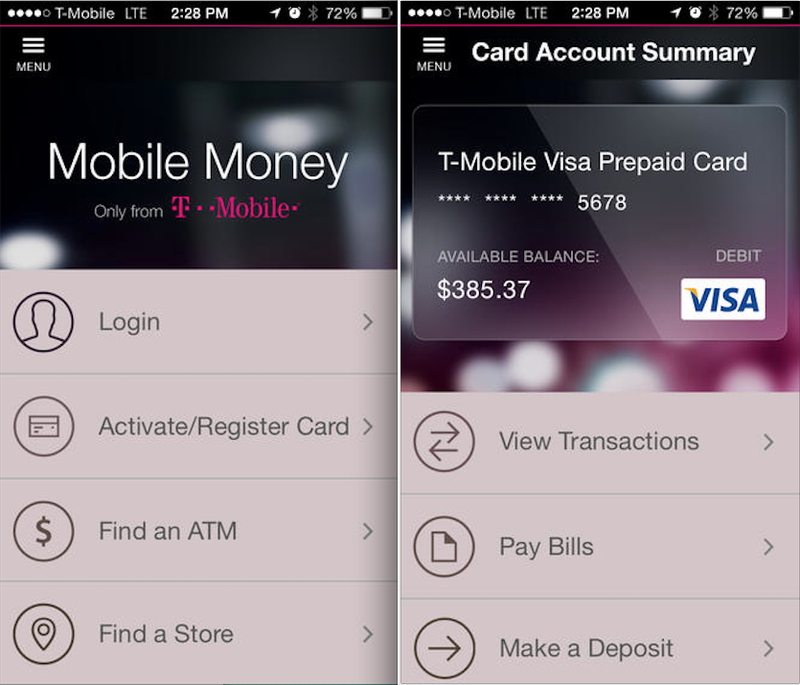 T-Mobile notes that customers will have access to more than 42,000 in-network ATMs nationwide with no ATM fees. Those interested in signing up for Mobile Money can do so online, or can wait until February to grab a T-Mobile Visa Card in-store or at select Safeway locations. It’s an intriguing move for sure, and it’ll be interesting to see how it plays out. I believe Boost Mobile launched a similar service last year, with a similar focus, but I haven’t heard anything on its successfulness. T-Mobile says last quarter was its best in 8 years, adding 1.6M new subscribers. So, what do you think about Mobile Money? Good idea/bad idea?